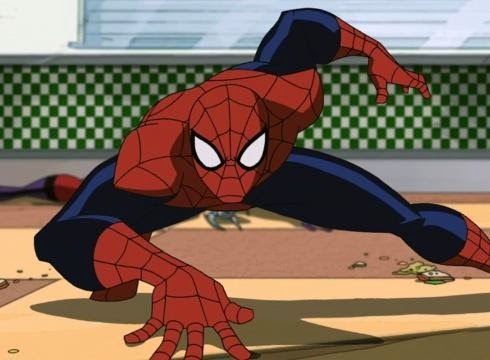 While he has five live action movies under his belt, with more on their way, Spider-Man has always thrived in animated form with numerous small screen cartoons dating back to the 1960's, reaching a high point in the 90's with the highly popular, arc heavy Spider-Man. Now, announced at CinemaCon by Sony Pictures Entertainment chairman Tom Rothman, an animated web slinger is coming to the big screen, independent of the live action, masterminded by The LEGO Movie and 21 Jump Street's Phil Lord and Chris Miller. This is fantastic news as Lord and Miller have shown a great level of fun and inventiveness in their animated work, especially Cloudy With a Chance of Meatballs, and are the perfect pair to tackle ol' web head. They excel at the irreverent, and you don't get more irreverent that Spider-Man and his wise cracking ways. The movie is expected to come our way July 20th 2018 (one year after the next live action outing for the character), so details are very thin on the ground, but could we see fan favorite Mile Morales, the Spider-Man of the Ultimate Marvel Universe, coming to the big screen? It would make sense to differentiate this version from the character's live-action adventures, and Morales is building a big fan base, only set to grow when Marvel Comics bring him into their core books later this year, that would be foolish to ignore. It would also be good to shake up the character, presenting audiences with a new take without having to change any plans Sony have for Spider-Man within the MCU.